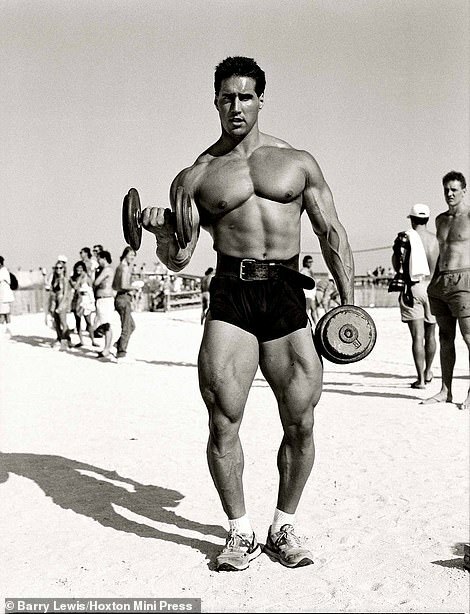 These marvellous black and white photographs capture the goings-on on Miami Beach from 1988 to 1995. The coastal strip is illustrated in all its glory by British photographer Barry Lewis, who escaped the harsh London winter for the tropical paradise of South Beach, Miami, Florida, each Christmas. 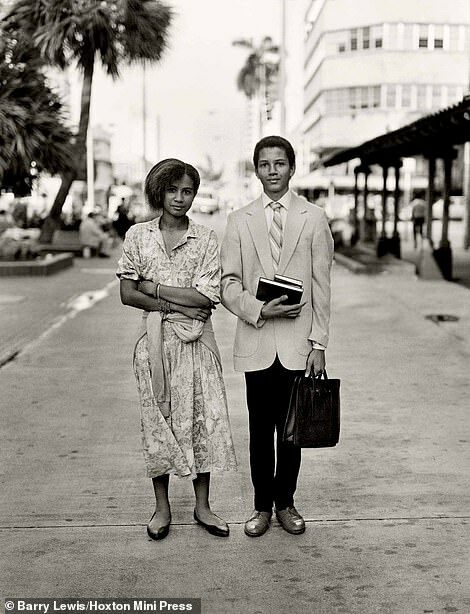 There he captured the diverse and eccentric people who made up the community: newly-arrived Cubans, Jewish retirees from New York, and the gay population who flocked to Ocean Drive for the party scene. The professional photographer's pictures show the vibrancy of the area slowly coming back to life in the early 1990s after years of drugs, corruption and violence. In 1981, Miami was the murder capital of America with the highest violent crime rate in the nation. But this gradually decreased with city leaders attributing it to increased police patrols, the addition of cameras and residents who are more willing to work with police in stopping crimes before they happen. Miami Beach 1988-1995 by Barry Lewis is published by Hoxton Mini Press.